Posted on January 9, 2017 at 10:35 am. Speculation a deal is in the works between Crown and ClubNSW has industry insiders branding the tie-up an unlikely pairing. A deal between Crown and ClubsNSW in the works has been suggested by industry insiders. James Packer’s Crown Resorts may be focusing its attention closer to home following the arrests in China late last year with rumours suggesting ClubsNSW, which is looking for a digital partner, will be its next target. While there has been no comment regarding a deal from ClubsNSW or Crown, many in the industry are reporting a tie-up could be in the works between the clubs and Packer’s new Barangaroo casino set for Sydney. While its physical clubs have teamed up with Tapcorb to offer TAB and keno facilities, ClubsNSW needs to find a partner to join the digital era. This could see the representative body teaming up with Crown’s online operations, CrownBet, despite the unnatural alliance. Clubs do blame casinos for stealing many of their market share, with ClubsNSW comprised of 1200 member clubs, with the pokies the main attraction at these venues. Barangaroo is unable to offer pokies once the casino has been completed making the deal mutually beneficial. This has resulted in industry insiders to suggest a reciprocity of membership. 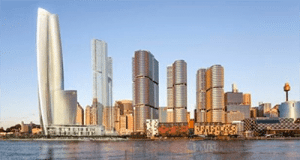 ClubsNSW has rejected the idea however, stating it would “commercial suicide” to allow its tens of thousands of members to gain membership at Crown Barangaroo. This would be a clever move for Crown since it’s Sydney complex has been deemed as VIP only, with a minimum bet available of $30. This has followed many industry insiders questioning how it is financially viable to offer exclusive gaming due to the damage to their VIP market, mainly dominated by Chinese players, incurred after the raids and arrests of 18 Crown staff in mainland China. Of the 18, one has been released while the 17 others remain behind bars while the prosecution prepares for trial. Crown recently revealed their results over 2016 detailing the VIP turnover was down by 45 per cent in the last six months, despite being strongly up in the first half of the year – suggesting the arrests had a huge impact. This also comes after the announcement Crown was withdrawing from its plans to expand internationally, while also selling off its Macau joint venture, Melco Crown, so it can focus on its projects in Australia. Packer will need to re-think his position to populate Barangaroo – especially if the Chinese government are vigilant on their anti-gambling crackdown. But he will also need to consider how to do this while allowing for the casino to still be labelled a VIP facility and perhaps this will be with ClubsNSW. Looking for a safe online casino option? Our site has a ton of guides and reviews for players from all over the world to find a safe, reputable online gambling destination suiting them. If you reading from United States, we highly recommend Raging Bull Casino which legally caters to players from your country and hundreds of real money online games, playable on computer or mobile devices.